Should You Be Looking At More Than Just Anti Aging Skin Care Products? Have you ever wondered what causes aging? What causes us to start getting wrinkles, fine lines and grey hair? There’s little doubt that one of the biggest reasons is oxidative stress. What’s oxidative stress? In a nutshell, oxidation is the process by which atoms lose an electron. Once upon a time, the term referred to the process by which oxides are created. Now it refers to any process by which atoms lose electrons. When an atom loses an electron and is left with an unpaired electron, it becomes a free radical. We have free radical creating oxidative processes going on inside us all the time! For example, we create free radicals as a by-product of several of our cellular processes. Glucose metabolism for cellular energy is one such process. The oxygen molecules left over after this process have each lost an electron, leaving them with an unpaired electron that turns them into highly volatile free radicals. Normally, our bodies can cope with these free radicals – we produce a very powerful antioxidant that provides free radicals with a replacement electron and stabilizes them. Alternatively, we also get plant antioxidants from fresh fruit and vegetables and these do the same job. However, modern society has increased our exposure to environmental toxins. They’re in the air we breathe, the food we eat and the chemicals we surround ourselves with on a daily basis. When we get these toxins inside us, our body does a magnificent detox job to get rid of them so they don’t harm us. Unfortunately, this detox process creates yet more free radicals. Eventually, we may end up producing more free radicals than we have antioxidants to deal with them. This is oxidative stress! If we don’t do something to reduce our oxidative stress, all those free radicals will do a lot of damage to our cells. Remember – free radicals are atoms with an unpaired electron and atoms don’t like having an unpaired electron! It destabilizes them and they’ll do everything they possibly can to find that electron another partner. Even if it means pinching an electron from another atom, which then leaves that atom with an unpaired electron ie it too becomes a free radical. As a free radical, it will pinch an electron from another atom and we now have a chain reaction that eventually affects normal cell function and can even destroy DNA. So many diseases are caused by unchecked free radicals running amok – cancer, Alzheimer’s, diabetes, fibromyalgia to name a few of them. They are also implicated in the aging process because they cause cell damage, which leads to aging. If you have high levels of oxidative stress happening and you aren’t providing your internal defense mechanisms with enough ammunition to fight the growing cascade of free radicals, your cells could be sustaining damage and dying off at a faster rate than they would normally. In other words, you will be aging a lot faster than you should be. Not to mention your increased risk of developing serious health conditions like cancer. This might all sound like doom and gloom but we can reverse the effects of free radicals. Those antioxidants we referred to earlier specialize in deactivating and neutralizing free radicals by giving them the additional electron they need to stabilize them. Antioxidants are themselves unaffected by having an unpaired electron. Therefore, ensuring you get enough antioxidants in your diet to cope with increased levels of oxidative stress is the best way to stop free radical damage and slow down the aging process. You can consume them as part of special anti-aging supplements or you can improve your diet with anti-aging foods that also provide amino acids, vitamins, minerals and enzymes that help combat the aging process too. Whether you choose to go with an anti-aging supplement or an anti-aging diet, or a combination of both, you’re fighting the aging process from the inside out, attacking age causing free radicals as they happen, repairing damaged cells and helping produce healthy new cells. The spin off benefits of this is enormous. Your skin will look healthier and your joint health will improve. You’ll also notice improvements in your quality of sleep, that you have more energy, improved mental alertness and better memory retention. 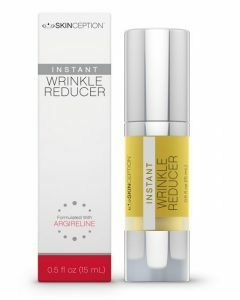 Additionally, you’ll enjoy better circulation, a healthier immune and hormonal system and reduced macular degeneration. Which is not to say that topical anti-aging products aren’t also important. They are. Research has shown that topically applied antioxidants can be just as effective at fighting free radicals as dietary antioxidants. Your skin also needs moisture, which can be supplied by quality anti-aging skin care creams and lotions. Then there is sunscreen, probably one of the most effective topically applied anti-aging products there is! Indeed, ensuring you apply sunscreen prior to going out into the sun will provide you with more protective and anti-aging protection than just about any other topically applied anti-aging product.